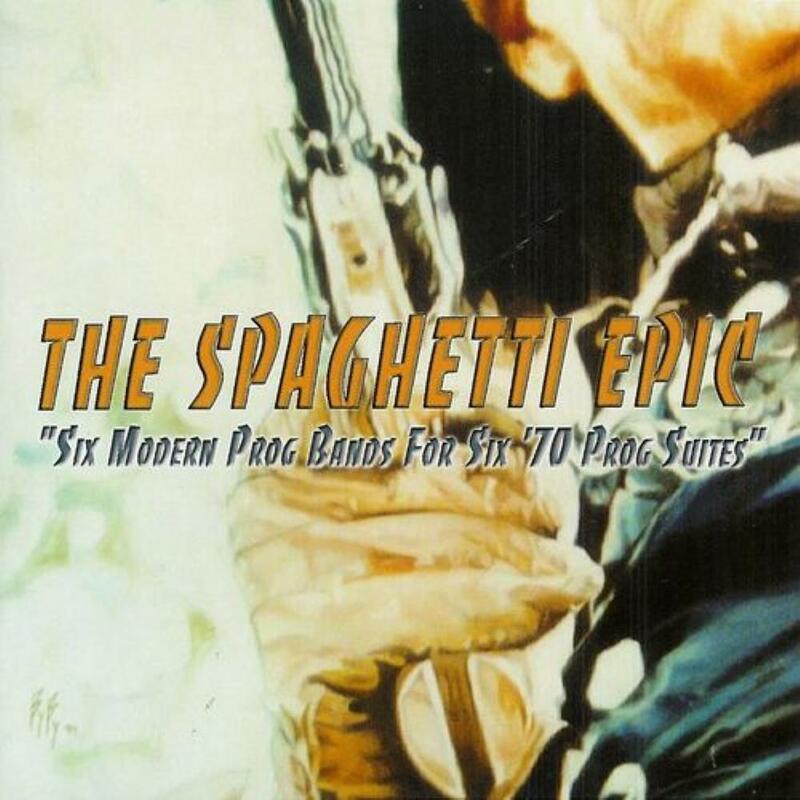 An interesting concept album based on the movie "Once Upon A Time In The West" where 6 bands were asked to offer up over 20 minutes of music based on a character of the movie. It's harder then it sounds. For the most part it works although i'm not a fan of double concept albums as a rule. And when the first two tracks are my least favourites, well it doesn't get off on the right foot at all for me. The liner notes couldn't be better with a cartoon and detailed information that goes beyond the call of duty. The first track is really about "The West" in general whereas the other tracks do deal with a person from the movie. HAIKARA are from Finland and I am a big fan of this band. So for me the result was disappointing. Female vocals and accordion for the first 2 1/2 minutes. Not a fan. My favourite part comes in before 9 minutes and ends after 12 minutes. Nice rhythm here. The rest for me is difficult. The intro is reprised to end it. RANDONE from Italy does the second track "Jill". This is better with all the vintage instruments from the seventies taking the spotlight like moog, Hammond and mellotron.This is fairly laid back with male and female vocals in Italian. Some nice electric guitar before 14 minutes. Just not a fan of this one though. TILION was a band I didn't know about from Italy. Man they impressed me here though.The best track from disc one easily.This song's called "Cheyene" and it opens with experimental sounds before kicking in with vocals after 2 1/2 minutes. Piano and guitar come in a minute later as the tempo picks up. Drums and a great sound follow. Kind of jazzy 4 1/2 minutes in as it settles. It's intense 7 minutes in before kicking back in. Fantastic sound ! It settles as the song continues to change. It's intense again to end it. Disc 2 starts off with a band called LA VOCE DEL VENTO who is actually those two guys from PARALLEL OR 90 DEGREES now called THE TANGENT, Andy Tillison and Guy Manning. They don't disappoint in the least. You should see all the instruments these two guys play. And they both sing. First Guy is up on vocals after 3 1/2 minutes, then Andy sings after 9 minutes. These guys are gun slingers man. Some great organ on this one. This is just a treat to listen to and my favourite off this double album. A pleasure. Oh the song is called "Harmonica". Next up is an Italian band called TAPROBAN who I hadn't heard of before but was left very impressed. The song is called "Morton". It opens with the sound of a train coming through. Very cool. It kicks in around a minute with a good heavy sound. This sounds incredible when the vocals join in. Organ after 5 1/2 minutes with some passionate vocals in tow. Chunky bass follows then they jam for a while. I like the synths. The sound of waves end it. "Frank" is the final song by TRION from the Netherlands. The guitar in this one surprised me the most. There's plenty of it along with mellotron. The church organ early is a powerful statement too. A good song. I'd give disc two 4 stars, but disc one is no more then 3 stars.Three great tracks and one good to go along with the first two which were okay.